Welcome to the first Die-namics Design feature. This month the MFT design team is exploring the world of word dies. I created three cards using the fabulous Many Thanks Die-namics. I paired this die with the Stitched Rectangle Frames Die-namics and some Summer Splash and gold foil card stock. The first card is a vellum shaker card. While I usually make shaker cards with acetate, I decided to try a vellum one as I have seen a few of them lately and I like the softer look of them. The thanks was die-cut in Summer Splash card stock that had adhesive attached to the back of it. Having the adhesive already on the card stock makes it easier to adhere the card stock to the vellum. I filled the shaker with gold and aqua sequins and clear microbeads. The microbeads helps the sequins to move around within the shaker. For my second card, I paired the Many Thanks Die-namics with with some patterned vellum paper. 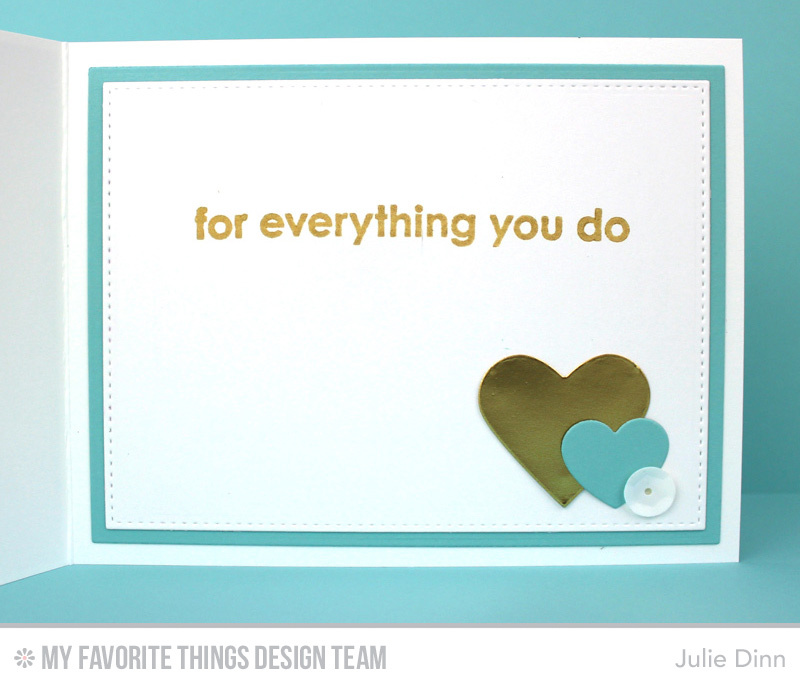 I die-cut the thanks in Summer Splash and gold foil card stock. I used the Summer Splash thanks as a shadow for the gold. I added a layer of Glossy Accents to the gold card stock, once it dried I added a layer of Sheer Sparkle Glitter Glaze. On the inside of the card, I stamped a sentiment from the Thankful Thoughts stamp set with Gold Delicata Ink. For my final card I used the largest of the thanks dies. 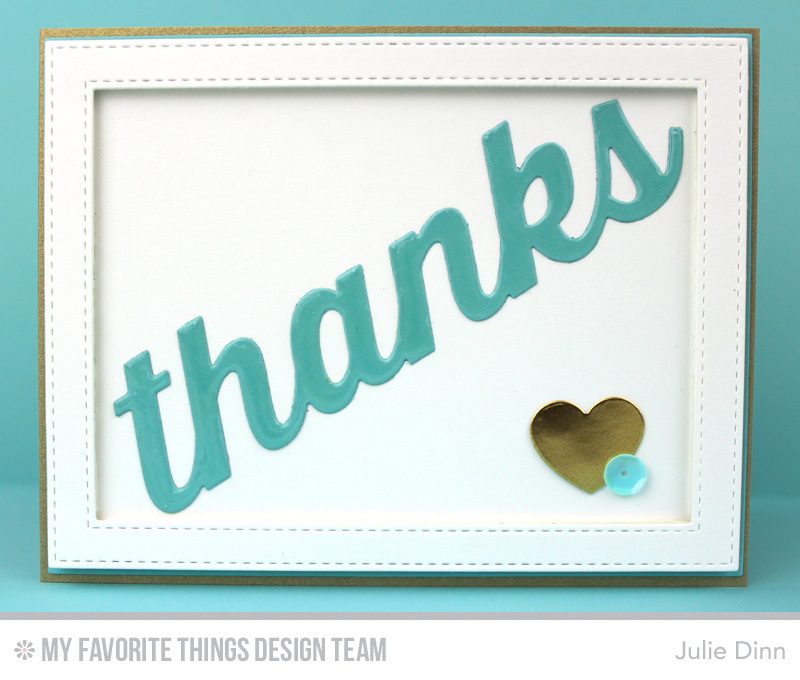 I die-cut the thanks from Summer Splash card stock and then I covered it with a thick layer of Glossy Accents. I added a small gold heart and a sequin to finish off the front of the card. Be sure to check out the MFT Blog to see all the amazing creations the MFT design team has to share with you today.